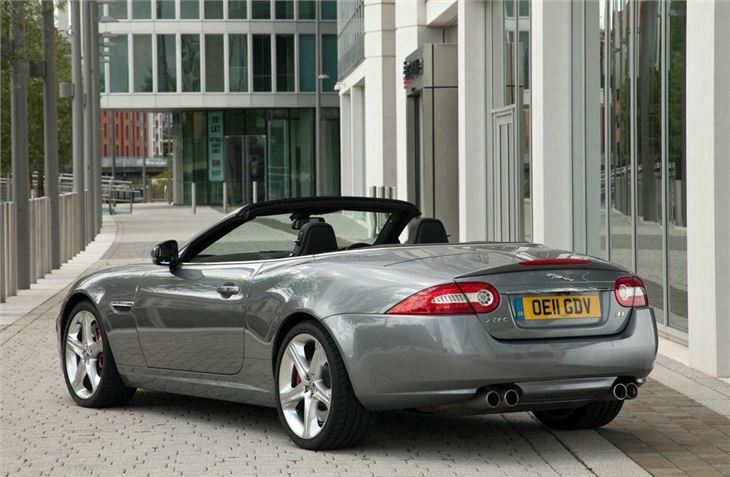 Understated yet purposeful styling. 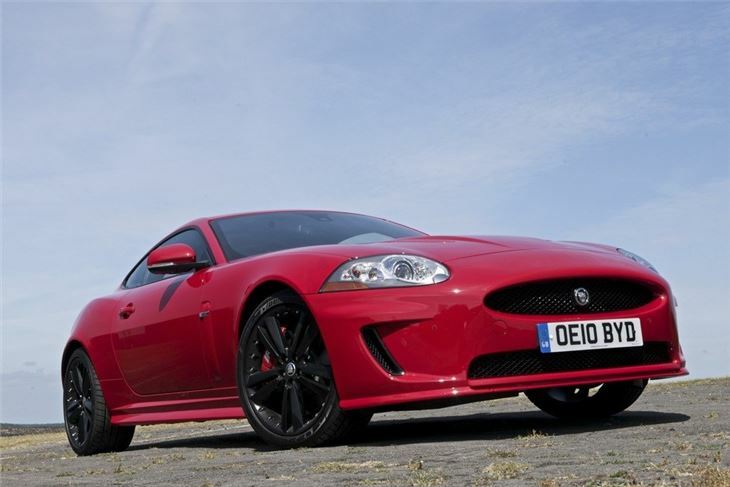 Stunning performance from supercharged V8. 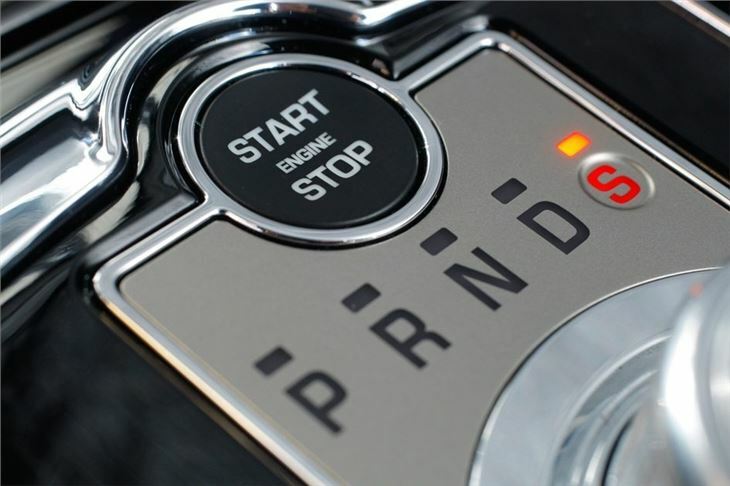 Amazingly quick yet refined. 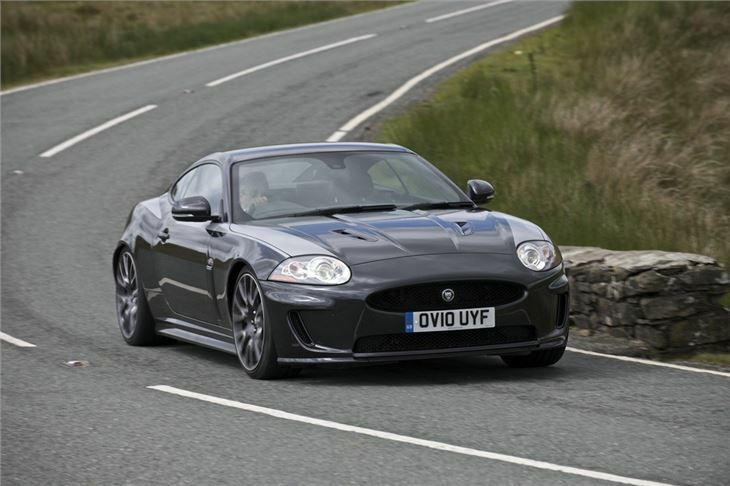 XKR-S takes it into another league. 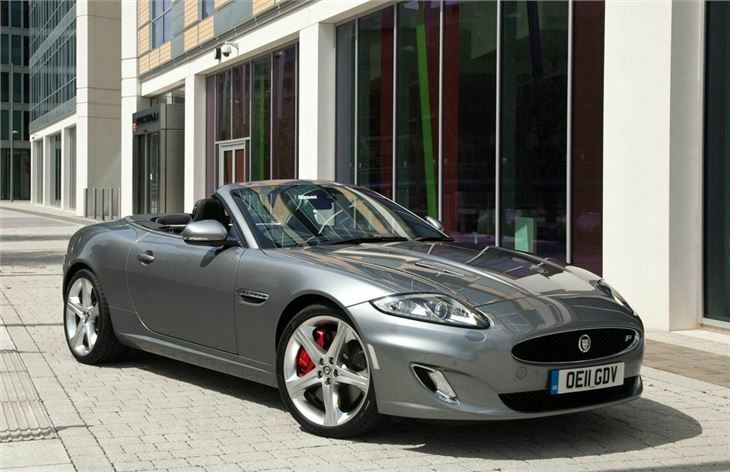 Only comes with an automatic gearbox. 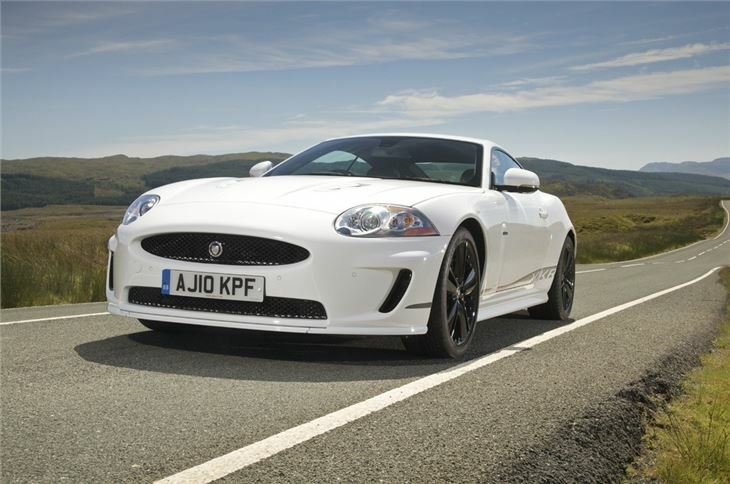 Other high performance sports cars are more driver focussed. 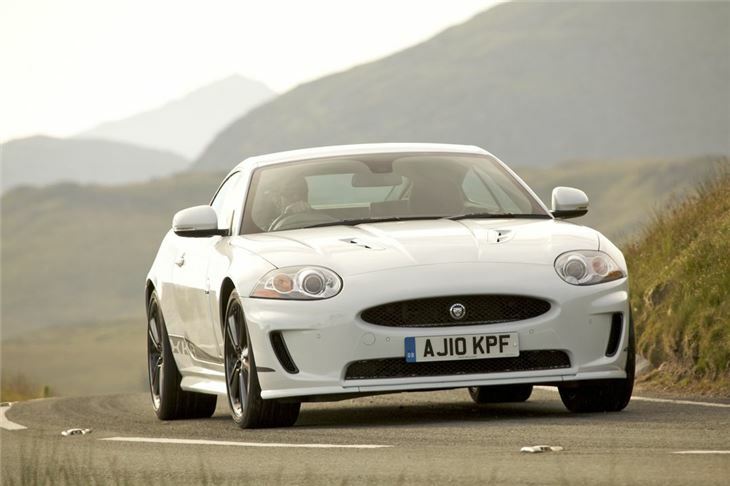 Report of 2014 XKR, regularly serviced, going into limp mode when owner pulled out to overtake at start of a dual carriageway. 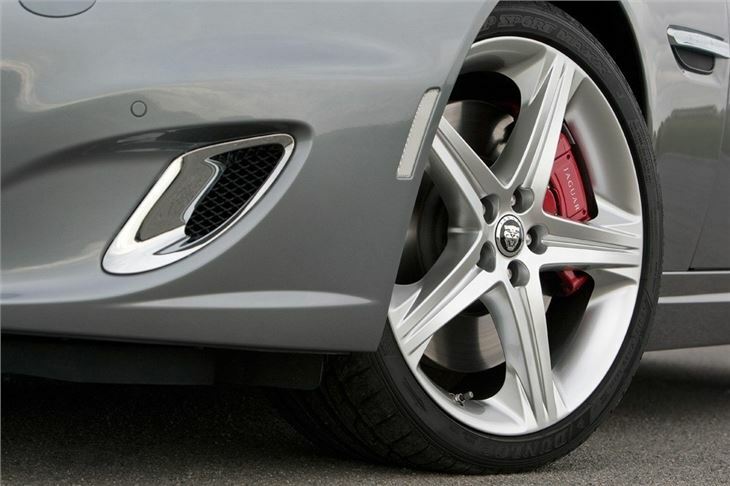 Might have been protecting itself against sudden overfuelling? 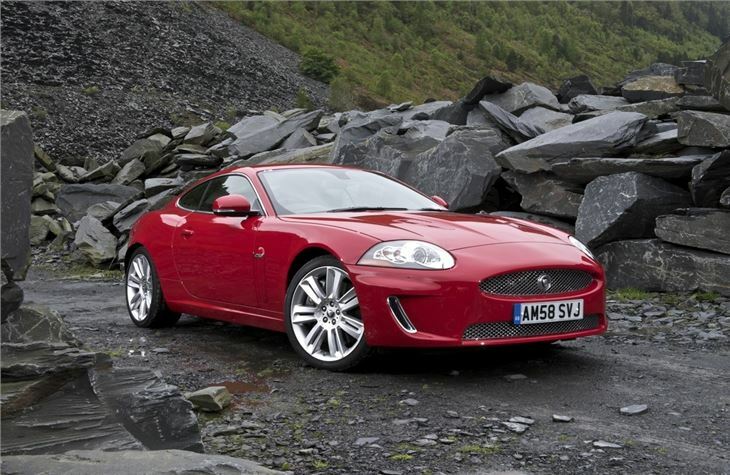 Sitting at the top of the Jaguar performance range is the thunderous XKR - the supercharged version of the standard XK. 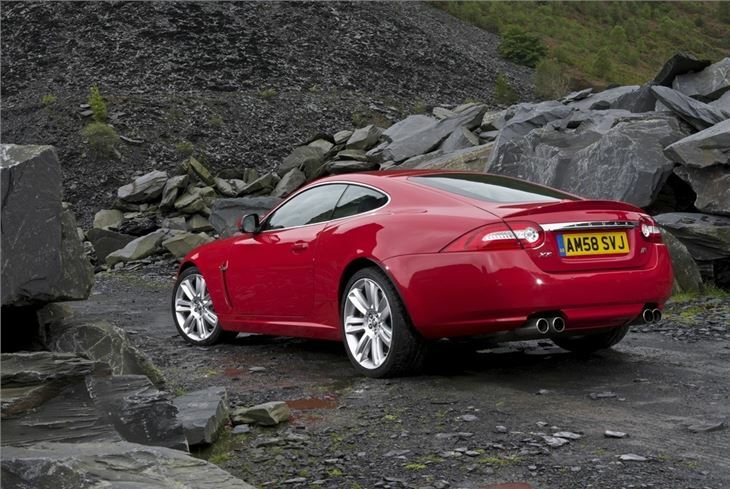 It really is a very special car with stunning performance, great muscular looks and an elegant interior. 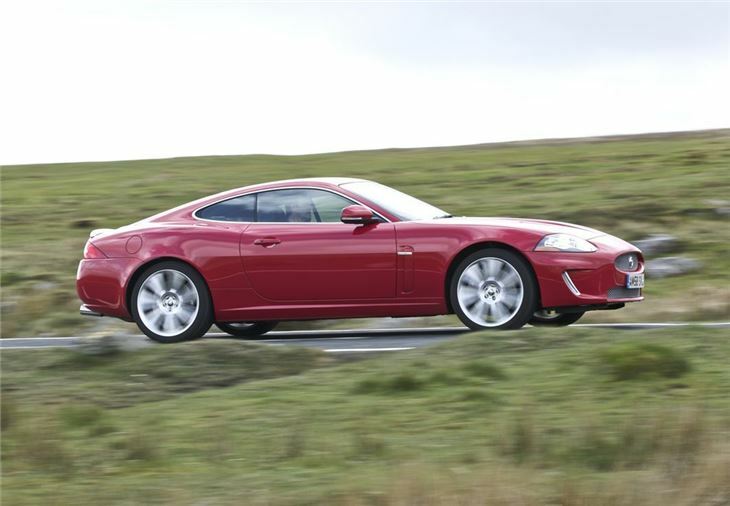 As feelgood factor cars go - the XKR is right up there with the best - this is a car that always makes you feel special every time you get behind the wheel. 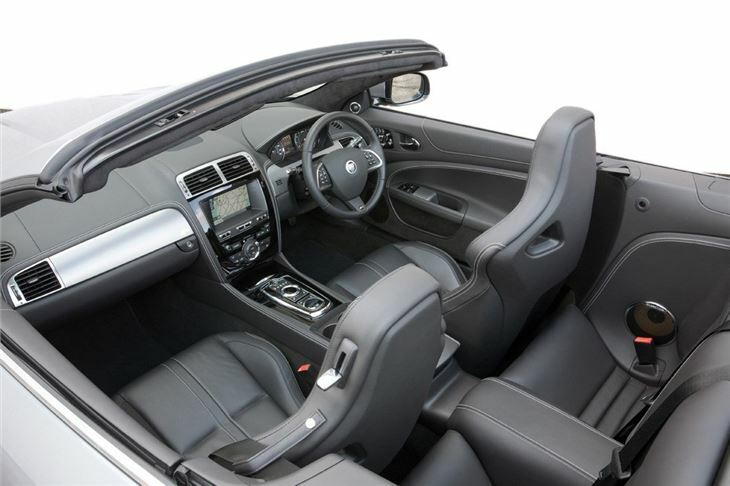 Much of that feel comes from the superb interior with its high-quality craftmanship feel and stylish design. 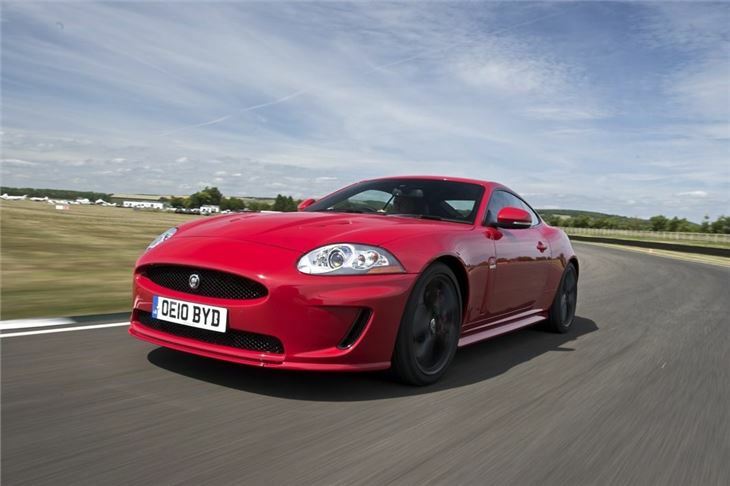 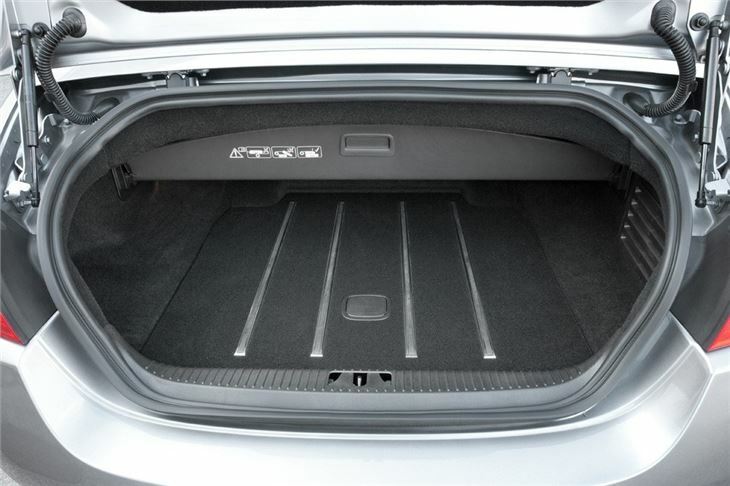 It's incredibly refined and that translates to the rest of the car. 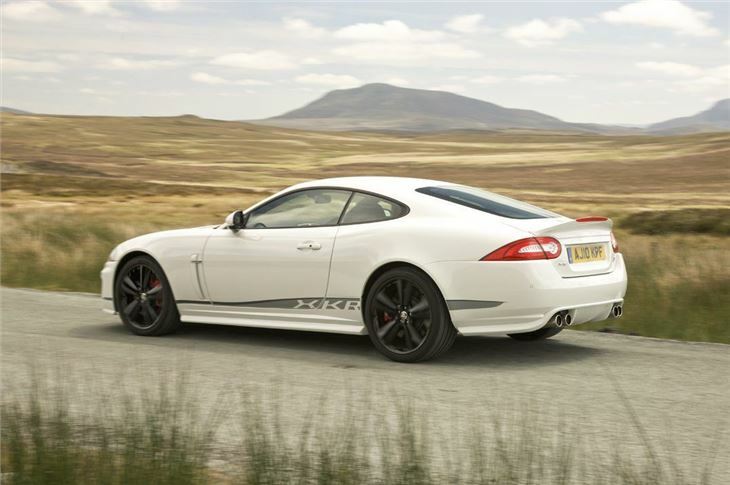 Power comes from a supercharged V8 engine which was originally a 4.2-litre with 420PS but as if that wasn't enough, it was upgraded to a new 5.0-litre unit in March 2009 when the XKR was revised. This larger engine delivers an astonishing 510PS along with a hefty 625Nm of torque so it's no surprise that 0-60mph comes up in just 4.6 seconds. 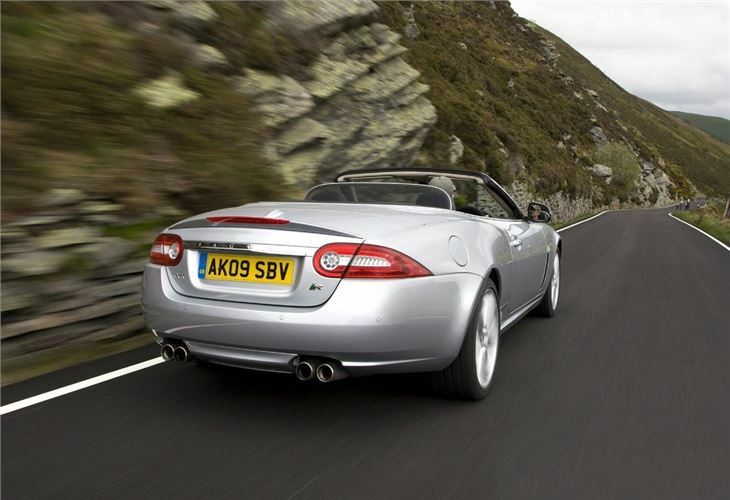 The engine sounds great too with a deep V8 growl accompanying acceleration, but it's the effortless way the XKR builds speed which is most impressive. 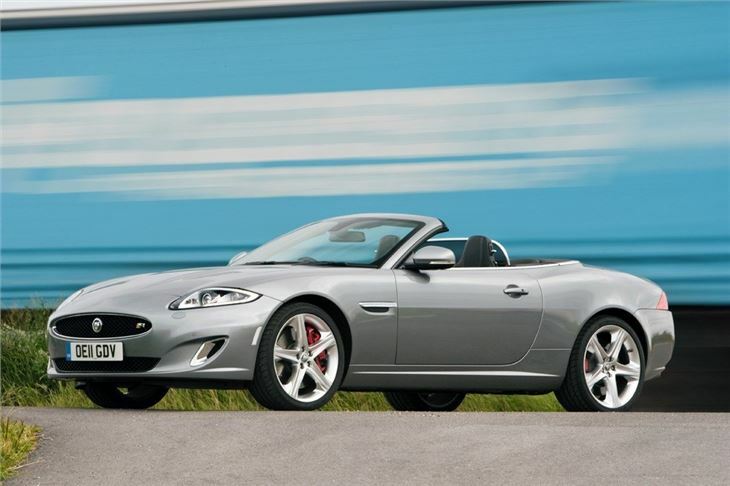 It handles superbly as you'd expect, with great poise and precision. 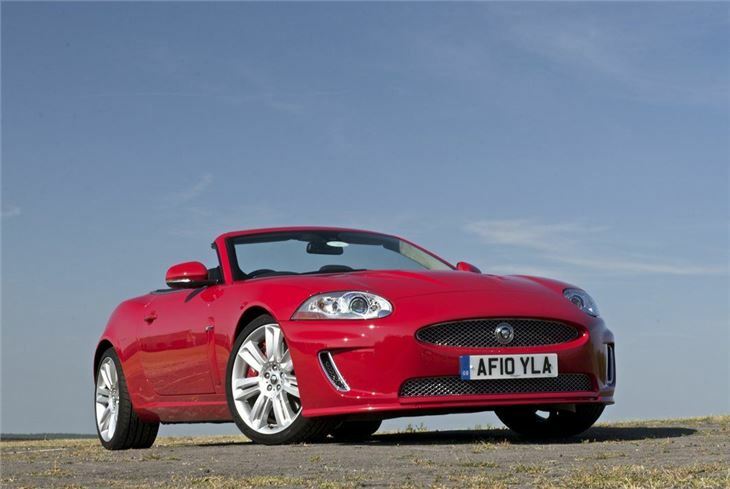 It's quite large for a two-seater sports car, most of it accounted for by the large bonnet, but in corners it feels incredibly nimble with immense grip. 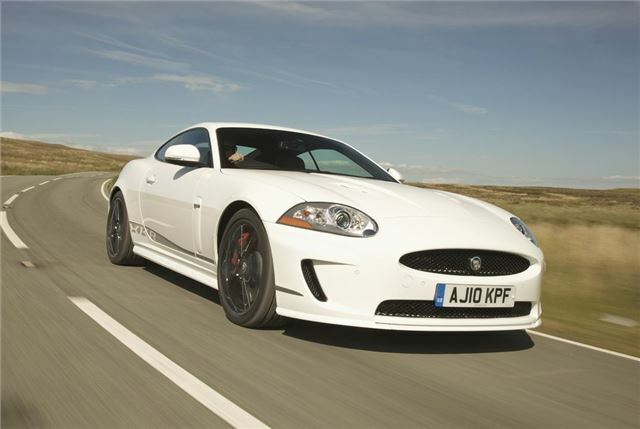 The only slight letdown is the steering which could do with more feel, but this doesn't detract from what is a great performance car. 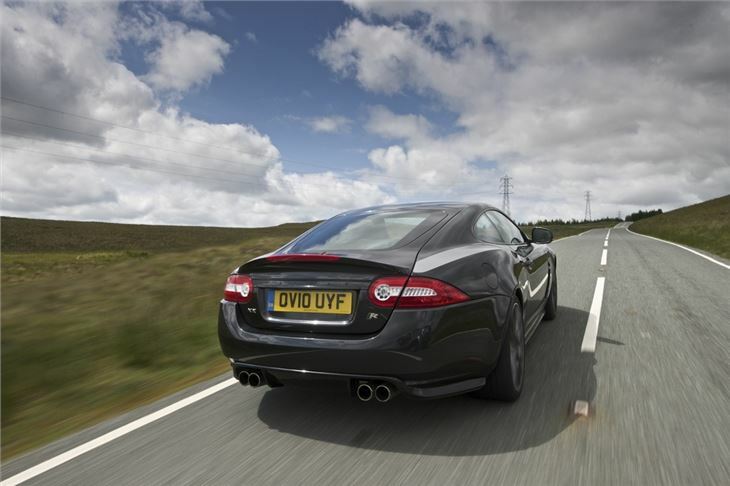 It's also equally at home on the motorway where it cruises smoothly, or even in traffic where it's docile and easy to drive. 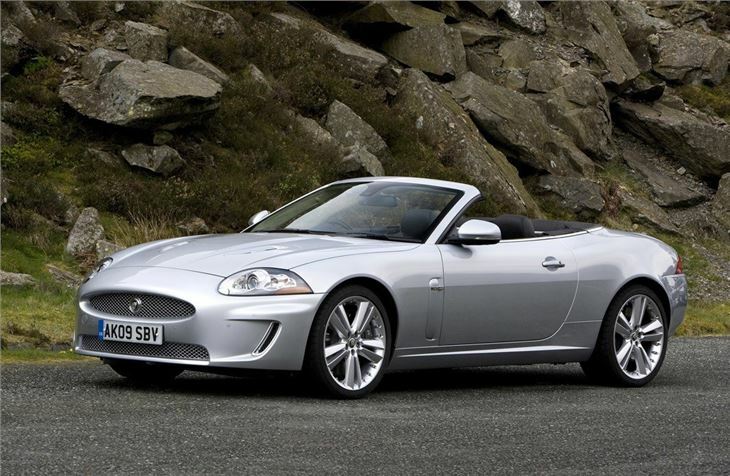 The XKR is available as a Coupe or a Convertible, allowing you to enjoy that great engine noise even more. 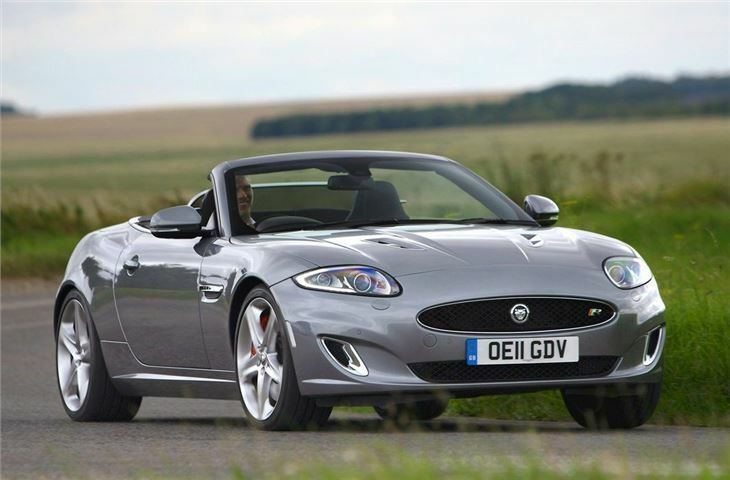 The Convertible hood is incredibly well insulated, so much so that with it up, you'll easily forget you're in a soft-top. 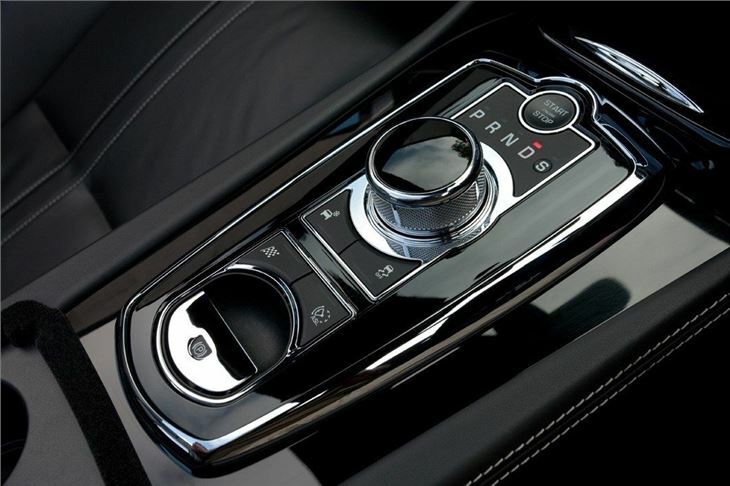 Other changes in 2009 saw the interior upgraded, including the trademark JaguarDrive Selector - the dial gear lever control which rises out of the central console - another wonderful touch. 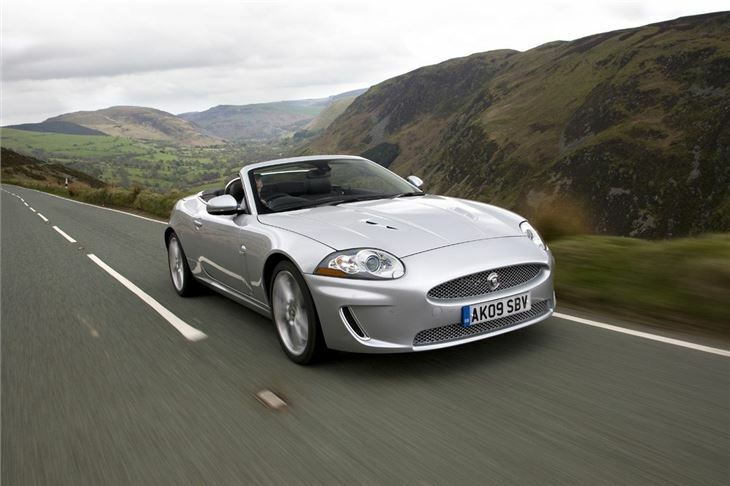 And in August 2010, Jaguar introduced Speed Pack for the XKR. 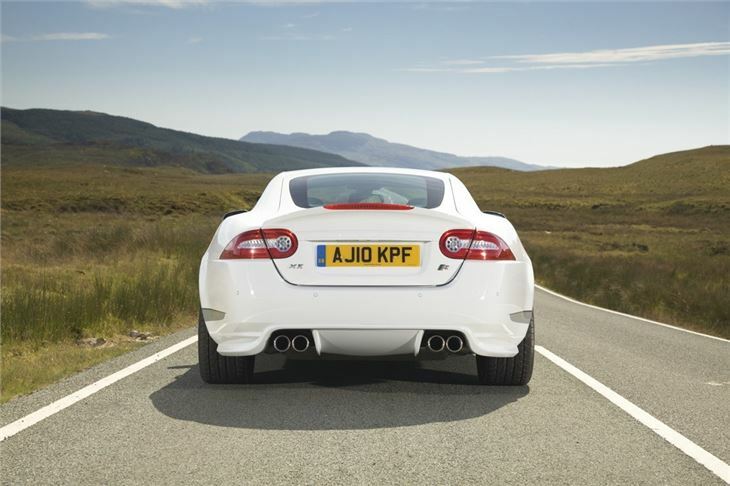 This removes the 155mph maximum speed limit, allowing the XKR to an electronically controlled speed of 174mph. 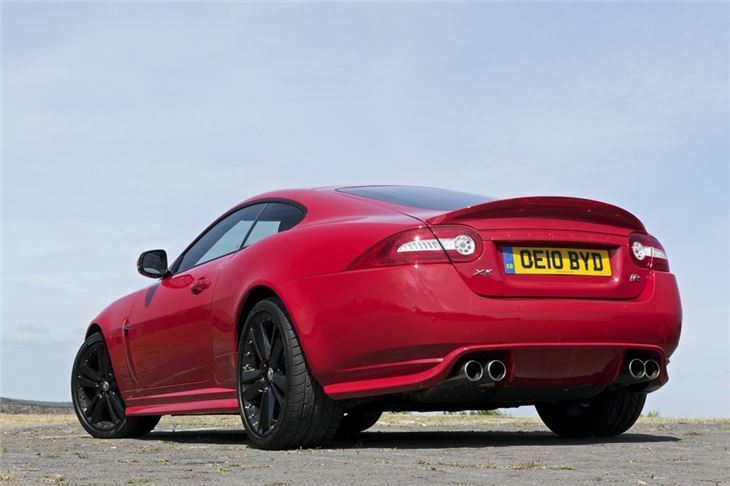 That's unlikely to be much use (especially in the UK) but the pack does include styling extras and the choice of unique colours, allowing you to make your XKR really stand out, as our pictures show. 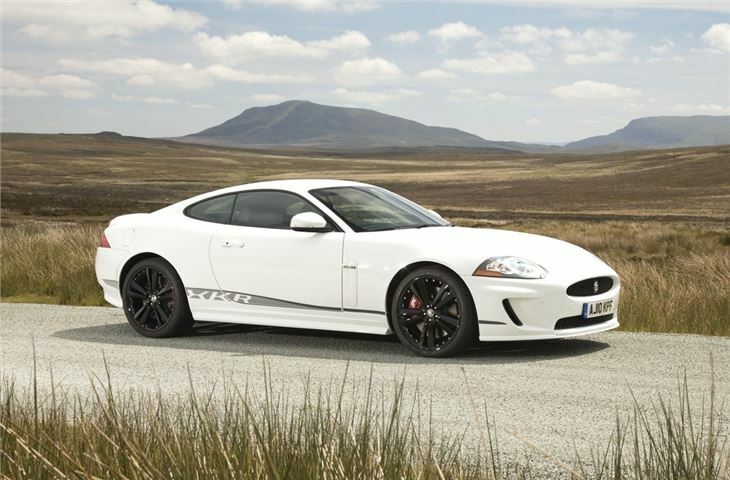 However the ultimate model is the XKR-S which was launched in 2011. 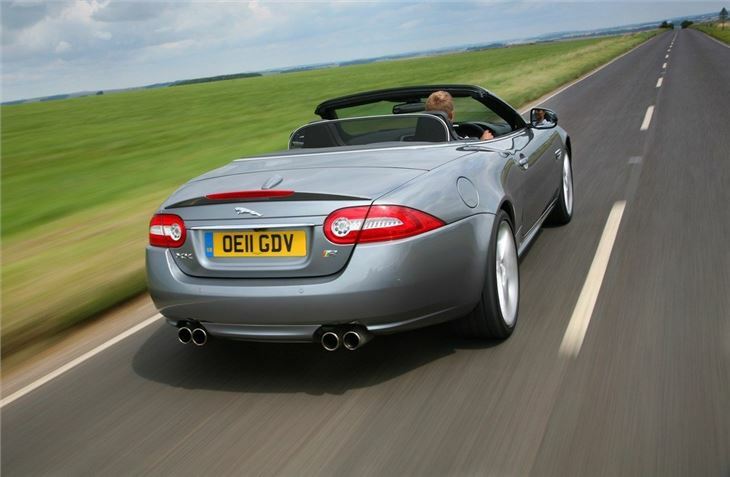 With 550PS and a 0-60mph time of just 4.2 seconds there's no doubting its thunderous performance.